This week Me and my group have made a Collaborative DLO about World War 1 Transport Ship. In this DLO we have Include Who,What,When,Why and how to help us surmising our information that we have found. We have also added a image of people saying goodbye as they head to Egypt to fight in war. A interesting fact that me and my group have found is it took 48 day to get from Australia to Egypt. Another interesting fact is that they played boxing and card to keep company. This Morning Me and Aung Naing created a DLO showing at least 3 things about the 7 Continents of the world. We first listed the 7 Continents and then we wrote 3 facts about Continents. We also put a map on our DLO to make it more cooler. This was a really fun activity and I learnt a lot of General Knowledge. This week we made two DLO about a camp brochure. We made a outside brochure and a inside brochure. We add the instructors and the activities that we did. We also add how many cabin there are and where is kokako lodge located also we add the kitchen. This week for tech we were doing some design at graphics at Tamaki college, we were trying to draw what design we are doing for our clock to know what our clock are going to look like. My clock is going to be about a birds that called wooden woodpecker. We analysed our blog post data to find out how many blog post we have in each month. We learnt about what is average means in math. For 2015 I have 147 blog post, for 2016 I have 89 blog posts, for 2017 I have 148 blog posts, for 2018 I have 126 blog posts and for 2019 I have 16 blog posts so far. My goal for this year is to get 700 blog posts so I need 171 blog post to reach my goal. That means I need to do 19 blog post each month. On Wednesday we played a game called 2 words 1 minute. In this game there are two words and you have to make sentences using those two words in 1 minute. After we had one game we made a DLO were we had to explain how to stretch sentences with the 5 w's and the H to make a better sentence and add more detail. This week for kiwi sport we played the real game of Ki O Rahi. The other team needs to throw the ball to the tupu to score a point to win. There are two guardian that needs to protect the tupu. There also one person that need to kick the ball to the person who the guardian to score a point for there team. It was fun play Ki O Rahi but it was very hard to play in the hot sun. 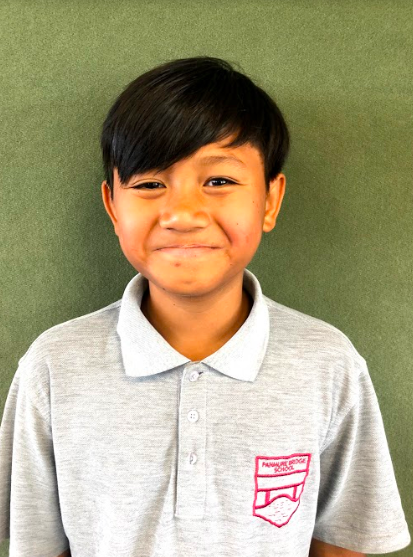 Swasdi, my name is Aung Naing and I am a year 8 student at Panmure Bridge School. I am from Thailand and I have three brothers. My other brothers go to Selwyn College. I like to play sport and my favourite subject is maths because I like to solve problems.